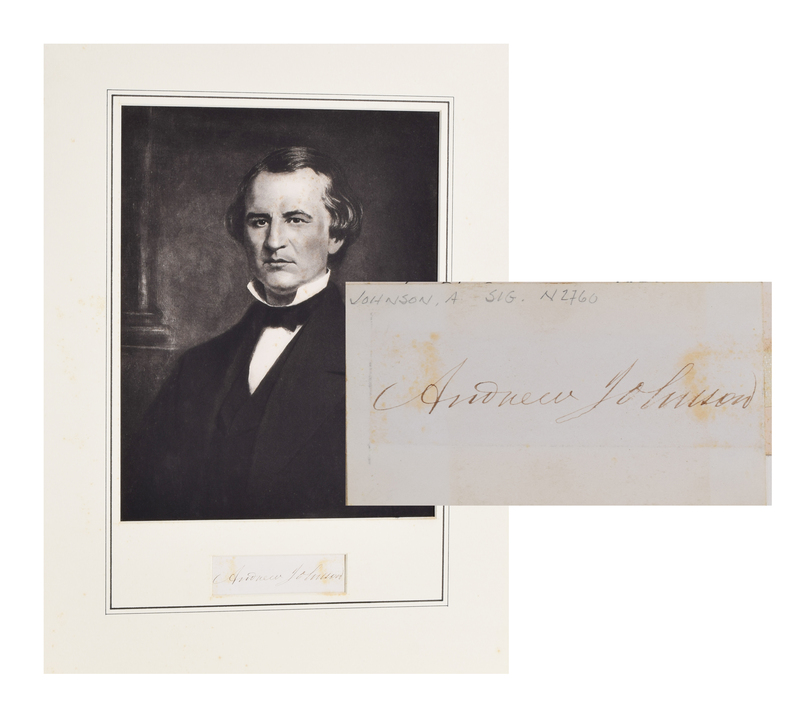 Large and extremely crisp ink signature, "Andrew Johnson,” on an off-white Card. 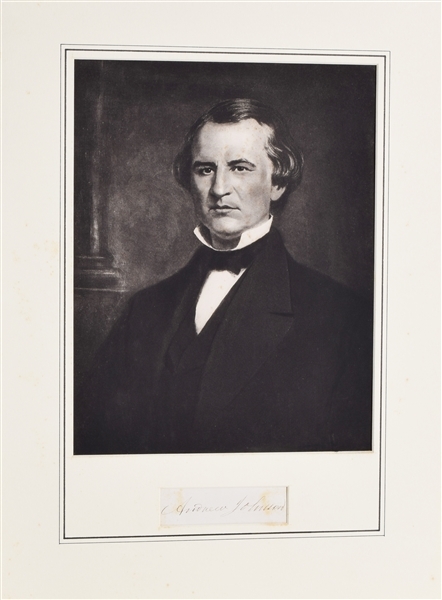 Matted with a large portrait of Johnson. Card does have some toning and has been taped to matt, both can be fixed by a conservator.